Find Woody Harrelson films cheaply on Amazon. You too can earn money from writing articles by signing up for InfoBarrel. Woodrew Tracy Harrelson was born on July 23, 1961 in Midland Texas to Diane and Charles Harrelson. He has two brothers. His parents divorced when Harrelson was just a toddler. Harrelson's father, Charles, was arrested in 1979 for the murder of Federal Judge John H. Wood Jr. He was found guilty of the murder and was sentenced to two consecutive life sentences at the United States Penitentiary Administrative Facility. Charles Harrelson died while serving his sentence. In 1973, Woody Harrelson and his mother moved to Lebanon, Ohio where he spent the remainder of his childhood. While Harrelson attended Lebanon High School, he worked at Kings Island Amusement Park as a wood carver. After high school, Harrelson enrolled at Hanover College, in Hanover, Indiana. While in attendance at Hanover College, he joined the Sigma Chi Fraternity. In 1983, Woody Harrelson graduated from Hanover College with a Bachelor of Arts degree in Theater and English. In June of that same year, Harrelson was arrested and charged with disorderly conduct. According to police reports, Harrelson had been seen dancing in the street and interrupting traffic. Once police were able to place him into the police van and drive off, Harrelson jumped out while laughing hysterically. Harrelson assaulted one of the officers who went after him. Before Harrerlson made his acting debut, he had been studying Theology and the Bible. Being a self-proclaimed "momma's boy" made him want to pursue the religion that his mother truly loved. After studying the Bible, Harrelson realized that religion was not for him and he no longer pursued it. Credit: Steve Rogers at http://www.flickr.com/photos/b-s_rIn 1985, Harrelson married (and divorced ten months later) Nancy Simon, the daughter of famed playwright Neil Simon. In that same year, Harrelson joined iconic show, "Cheers," as lovable bartender "Woody Boyd." His character replaced beloved bartender Coach (Nicholas Colasanto's role). Colasanto passed away in early 1985. Harrelson stayed on "Cheers" for eight seasons and his role even gained him five Emmy nominations. He won an Emmy for his performance as "Woody Boyd" on "Cheers." While on "Cheers," he landed bit parts on the big and small screen. In 1999, he reprised his role as "Woody Boyd" on an episode of "Frasier." It was not until 1996 when Harrelson's movie career really kicked into high gear. In 1996, he starred in "Kingpin" alongside Randy Quaid. The movie was an instant favorite with critics and movie-goers. 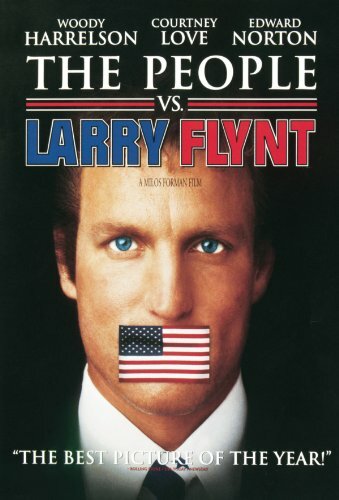 Also out that year was "The People Vs. Larry Flynt." Harrelson played the lead role of "Larry Flynt," the publisher of racy magazine, Hustler. His role in this movie earned him a Golden Globe nomination and an Academy Award nomination for best actor. In June of 1996, Harrelson was arrested in Kentucky after he planted four hemp seeds in an attempt to challenge Kentucky's laws on the subject of marijuana and hemp. The law has been unable to differentiate between marijuana and industrial hemp, which is why Harrelson decided to challenge it. The charges against Harrelson were dropped in 2000. Harrelson is an avid supporter for the legalization of marijuana. Between 1999 and 2003, Harrelson had parts in many movies, including: "Welcome to Sarajevo," "Wag The Dog," "Palmetto," and "The Thin Red Line." In 2001, Harrelson scored a recurring role on "Will and Grace," as "Grace's" boyfriend, "Nathan." In 2002, Harrelson was arrested after an incident in a London taxi cab concluded with the police chasing him. He was released on bail and he paid a fine. After a two year hiatus from acting, Woody Harrelson returned to the big screen to star alongside Adam Sandler and Jack Nicholson in "Anger Management." Between 2004 and 2007, Harrelson had small parts in several movies, including: "A Scanner Darkly," "North Country," "The Big White," and "Free Jimmy." In 2007, Harrelson landed the role of "Carter Wells" in "No Country for Old Men." This crime thriller won Oscars for Best Picture and Best Director. Along with the rest of the cast, Harrelson picked up a Screen Actors Guild Award for Best Cast. Harrelson appeared in many films in 2008, including "Semi-Pro," and "Seven Pounds." In 2009, he starred in "The Messenger." His role as Captain Tony Store earned him a nomination for a Satellite Award, Golden Globe Award, Independent Spirit Award, Screen Actors Guild Award, and an Academy Award nomination for Best Supporting Actor. Also in 2009, Harrelson co-starred in both "Zombieland" and "2012." In 2008, Harrelson married longtime girlfriend, Laura Louie. They have three daughters together: Deni, Zoe, and Makani. Both Harrelson and his wife lovingly refer to their daughters as their "goddess trilogy." In recent years, Harrelson has appeared in hit movie, "The Hunger Games," playing "Haymitch Abernathy." In 2011, Harrelson had a part in the romantic comedy, "Friends With Benefits." Since 2014, Harrelson has been playing "Detective Marty Hart" on "True Detective." Good deal--I saw that movie "Harper Valley PTA" when it aired on TV way back when, so I need to go and look for a pic of a teen Woody in it. Thumb. I think White Men Can't Jump was the first time I ever really heard of him, although I didn't actually see it until sometime this century. The first film I definitely remember him being in was Kingpin, although I saw Doc Hollywood at the time. Now I want to see it again to catch him. He's shown acting range that I don't think anyone would've expected watching him on "Cheers." He deserved his Oscar nomination for "The People vs. Larry Flynt," and he was terrifying in "The Prize Winner of Defiance, Ohio." I have to admit I haven't seen those - and I never watched Cheers - only his more recent work.